Koh Tang is situated about 4-5 hours off the mainland and about 2.5 hours south-west of Koh Rong Saloem. It has a couple of sandy beaches, the rest being rocks. There is a small Cambodian military presence on the island, but otherwise it is uninhabited. Visibility ranges from 10-30m, with the average being 15m. The remoteness from the mainland makes the island an exclusive trip. This formation runs between Koh Tang and a small island to the west. It varies in depth from 6-18m. There are fields of staghorn corals to the north which give way to coral bommies and rock outcroppings further south. The staghorn coral acts as a nursery and "explodes" with the dazzling colours of juvenile fish and marine life. This site has great visibility and also boasts our only trigger fish (a titan) which has been spotted by the lucky few. This favourite site gets its name from the formation of caves in the cliff on the shore (there is a tall one, flanked by slightly smaller ones on each side). The reef begins at about 2m and bursts with bright corals and a wealth of marine life. It drops to a sandy bottom at 16m. You often find yourself followed by schools of batfish and over the sand you will encounter larger fish such as schooling trevally (jacks) and barracuda. Another popular site with a wierd name that comes from the shape of a tree perched on the top of the overlooking cliffs (you have to see it). With a mix of soft and hard corals, this reef pulsates with life and vibrant colours. Marine worms abound here as do many different nudibranch, box and pufferfish. Over the sand there are schooling trevally and larger fish such as cobia. This is a large reef that descends to around 16m and extends far out into the bay. The first part of the reef, down to 12m, has numerous coral bommies which provide shelter for angelfish, spotted sweetlips, groupers and rays. From 12-16m, the reef is increasingly taken over by staghorn coral that supports an array of colourful smaller fish. As its name suggests, this site is full of stingrays and you'll encounter them either during the day, or particularly at night. This a rocky site that harbours a wide variety of marine life such as octopus, scorpionfish, cuttlefish and crustaceans. As you dive further out into the bay, there are small off-shore reefs below 25m. This site gets its name from the rock formation under the water. Nearer to the shore, there is a large, shallow ledge at 3-4m, that then steps down to 7m, 10m and the sand at 12m. 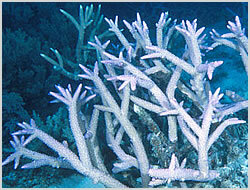 The large flat steps are covered in hard corals, usually with excellent visability. Further down, there are bright coral bommies and an array of stunning hard corals. Look for the juvenile spotted sweetlips waggling in and out of the urchins here. Named by one of our fun divers, this is a great night dive - in particualar for the large amount of crustaceans with beady eyes that seem to be watching you wherever you go! You will also see squid, cuttlefish, pufferfish, rays and moray eels in this sheltered, shallow bay. As its name indicates, this site has a current and is often a spine-tingling drift dive. The reef extends over rocks from the shore, with the best corals at 12m, supporting a wide diversity of marine life. As you "fly by" the reef, it deepens to 20m+, usually with excellent visability.